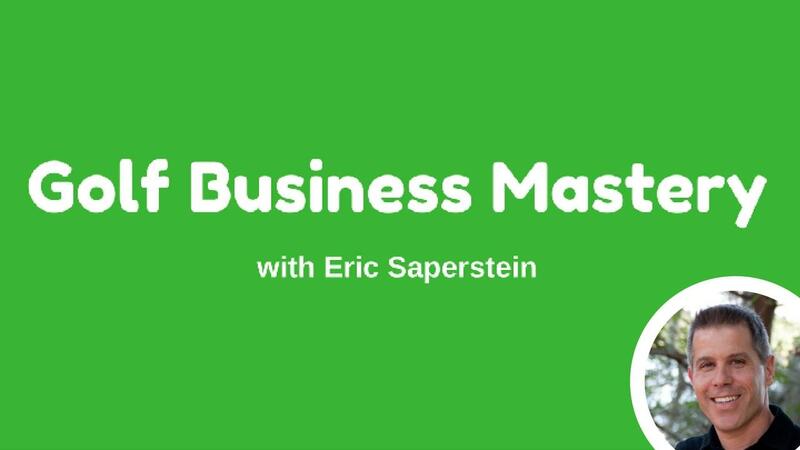 Join us as The Golf Business Guy, Eric Saperstein shares how he has helped corporations close millions of dollars in business using golf and now you can too. In this 4-Hour Masterclass Eric and host Greg Rollett will show you the step-by-step instructions on how to close your next big deal. *Are you ready to play business golf? Eric has an award-winning career in golf television & business spans almost 20 years. As a founding member of The Golf Channel, his concepts, strategies and management style promoted impressive revenue growth, and helped transform a fledgling start-up into a network with over 100 million global fans. His unprecedented rise at The Golf Channel secured his tenure as the Senior Director of News. He was constantly charged with creating brand strategies; show concepts and activations for Fortune 500 companies. These activations produced millions in closed deals. Eric holds his Master’s degree in Entertainment Business with an emphasis on Sports Marketing. He graduated as Valedictorian after receiving course honors in cutting edge courses like Digital Marketing, Mobile Marketing and Sports Sponsorships and Sales. Eric is also the International Marketing and Communications Director for Beyond Sport Integrated. It is an organization designed to teach life skills and AIDS awareness to children in Africa through sport. Eric enjoys spending time with his family and playing many sports including: golf, tennis, basketball and jogging. He has completed 3 marathons. The Golf Business Guy is available for individual sessions and corporate outings. Contact him today!